>We did some bug killing and graphic improving. 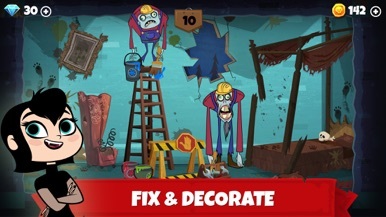 Update now to enjoy the latest version! >Game performance is now smoother than ever. Play on! 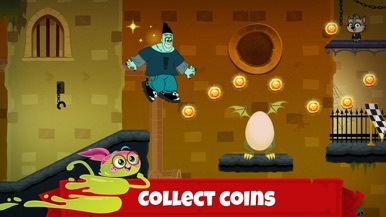 ~~> Hotel Transylvania fans - you’re gonna LOVE this spooky game! ~~> Oh no! Mavis accidentally released the mischievous Wolf Pups, and now she’s grounded! 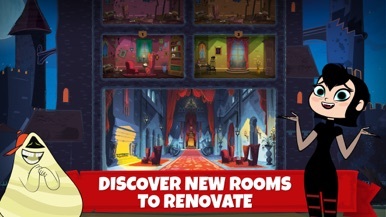 ~~> Help her find the Wolf Pups and repair the damage they’ve done to Hotel Transylvania. 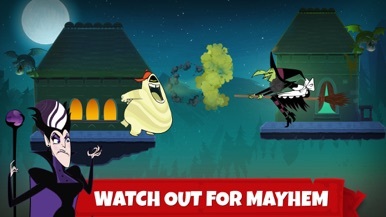 Mavis let the adorable but troublemaking Wolf Pups go, and now they’re roaming free around Hotel Transylvania, wreaking havoc. Aunt Lydia is NOT happy and has grounded poor Mavis. The only way her punishment will be dropped is if she rights her wrongs - help her find the Wolf Pups to stop them from causing more damage, and get the hotel back into tiptop shape. 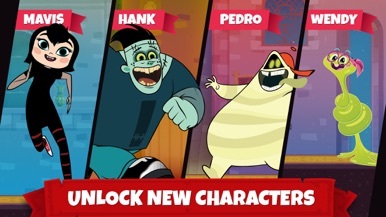 > Play as your favorite characters: Mavis, Hank, Pedro or Wendy. 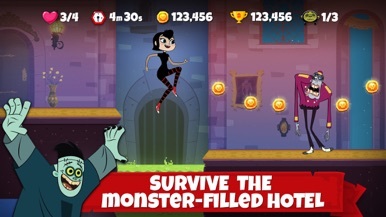 > Use powerups wisely to find your way out of the maze-like rooms!